When it comes to the Queens real estate market, 2016 was an interesting year to say the least. 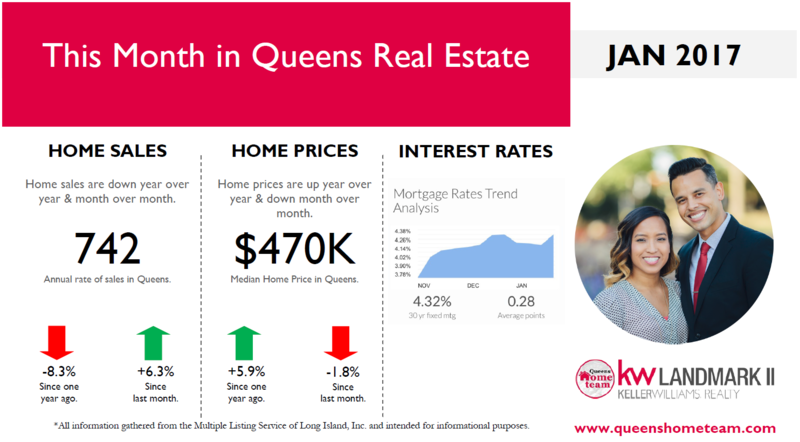 Interest rates remained very low for most of the year, home sales were consistently below 2015 levels, home prices continued to increase at double digit levels, and inventory remained very tight for most areas of Queens. As you can imagine, demand remained very strong last year, especially with all of the publicity that Queens has been receiving. Most of the houses/apts we sold last year still had multiple offers and ended up selling at or above asking price so the buyers were definitely out there. Constrained inventory however, made it tough for a lot of buyers to purchase and that is likely why home sales were down even with the still low interest rates. It’s pretty evident that entry level buyers are looking for affordability, while investors are following the train lines for good rental income and appreciation. We noticed last year that some of our higher priced listings weren’t getting as many offers as they did the year before which was very interesting. On the flipside of that, some of our listings in less talked about neighborhoods were extremely hot and ended up going well over asking price with multiple offers. We expect that trend to continue this year because based on what we see, most Queens’ home buyers are looking for value rather than just to be in the hottest neighborhood. All in all, even though prices were still rising last year, it wasn’t at the dramatic pace of 2015 and in our opinion that is healthy for the market. 2016 seemed to be more stable, and towards the end of the year, changes were made which could have a significant impact on the Queens real estate market in 2017. With the new administration in office, it will be important to see what housing policies go into effect because they can obviously have an impact on our local Queens’ market. Interest Rates – At this moment, interest rates are hovering around 4.25% – 4.5%. This is already about a point more than the rates of 2016. Most experts say that 5% is the breaking point at which we will see a shift in the market because at that rate, there will be a lot of entry level buyers who get priced out altogether. Inventory – Keep an eye out for more ineventory hitting the market. For the last few years, there has consistently been less homes on the market than the year prior, however, at some point that will change and when it does, the market will likely shift in favor of buyers (i.e. Buyer’s Market). Home Prices – Keep an eye out for price changes and expired listings. Last year we saw more price changes and expired listings than we did in 2015 and 2014. This can be an early sign of the market shift, and it can also be a sign of sellers that are trying to take advantage of the market with unrealistic expectations. I read an article late last year which mentioned the findings of an interview with over 100 economists and the majority of them are predicting that 2017 will still be a seller’s market and that we will see the shift to a buyer’s market in 2018 and 2019. This means that we may actually start seeing early signs of the shift this year. 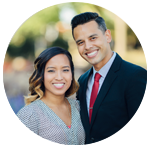 Advice: If you’re thinking of selling in the future, this may be the year to do it if you want to take advantage of the low inventory and maximize your net profit. Once the rate hits 5%, I doubt you will get what you think you can get right now. As for renters & buyers, my advice would be to start saving, cleaning up your credit, and raising your income because there may be some great opportunities and deals to grab come 2018 & 2019. 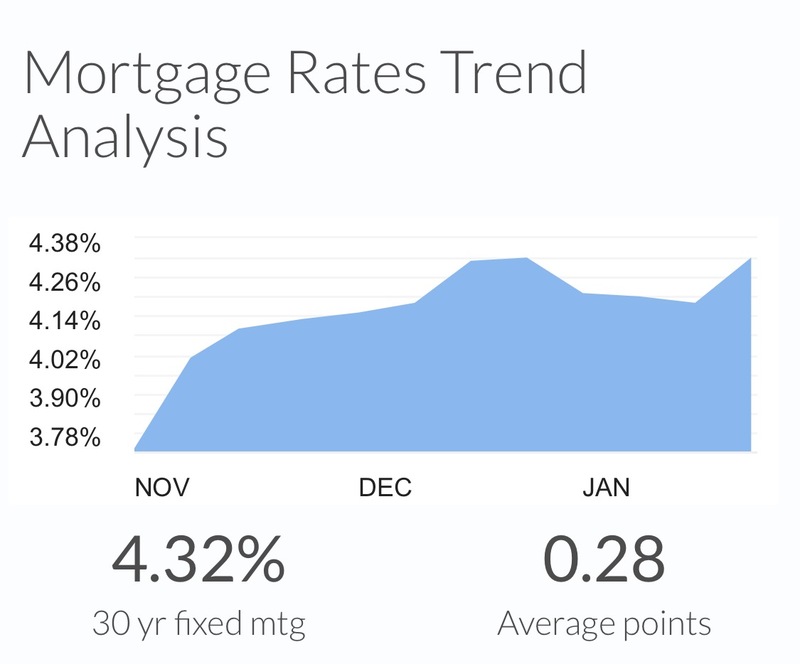 Mortgage rates rose this week. The benchmark 30-year fixed rate mortgage ramped up 14 basis points to 4.32%. The benchmark 15-year fixed rate mortgage moved up 10 basis points to 3.51%. The Long Island Board of REALTORS® reported home sales at a seasonally adjusted annual rate of approximately 742 homes during the month of December. This was an increase of 6.3% percent from November, and a decrease of 8.3% percent from December of last year. Over the last 12 months, Queens home sales are actually down 1.4%. Specifically, residential sales rose 1.2% in 2016, Condo sales dropped 5.8%, and Coop sales dropped 4.4% in 2016. The median Queens home price decreased to $470,000 in December, which was down 1.8 percent from November but still up 5.9 percent from December of last year. Important to note is the fact that December’s 5.9% increase was the smallest year over year price increase since January, 2016. Over the last 12 months, Queens home prices are actually up 9.5% which is still much higher than the 4-5% appreciation that most economists consider to be healthy. Specifically, residential 1-3 family home prices rose 6.6%, Condo prices rose 3.1%, and Coop prices rose 11.7%. This is a sign of the price stability we experienced for higher priced real estate (1-3 family & Condos) in Queens, and a sign of the increase in demand for more affordable ownership (Coops). 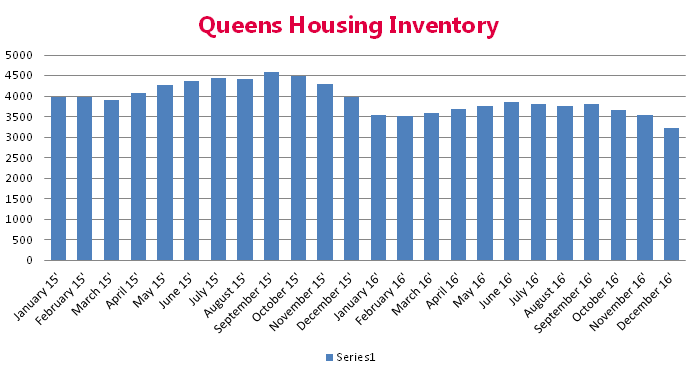 There was a 4.3-month supply of Queens housing inventory in December, which was a 4.4 percent decrease from November. The total number of homes for sale decreased by 8.5 percent compared to December of last year. It will be really important to track the inventory as we move in to the spring season and as interest rates rise further. Inventory and rates can be the driving factor in what 2017 looks like for the Queens real estate market.